When hybrids were first introduced, they were looked upon as a flash-in-the-pan idea. This was due in large part to the very miniscule size of the first hybrid prototypes. Drivers were clamoring for more space and more economy at the same time. They did not want to sacrifice one in the hopes of achieving the other. Thankfully, automotive engineers listened. And while the first hybrids were indeed very compact, the hybrid lines of nearly every manufacturer have expanded to include much roomier options. One of those options is the crossover SUV. 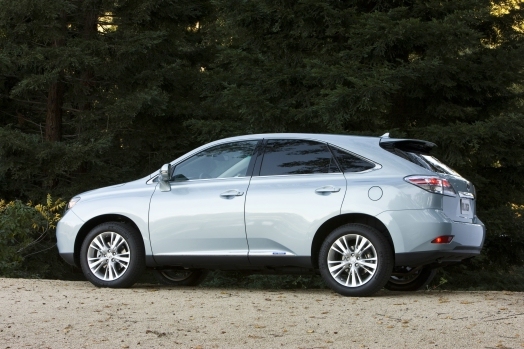 For auto consumers who want the best of both worlds, space and economy, take a look at the best hybrid crossovers for the 2011 model year. 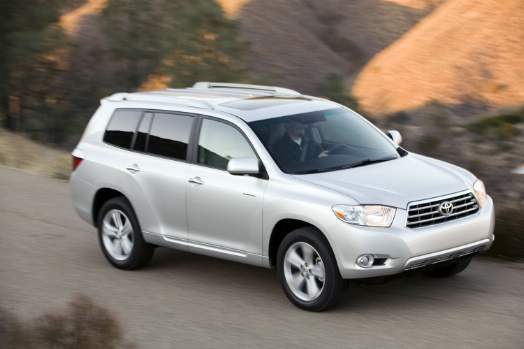 “Combining seven-passenger seating with excellent fuel economy and performance, the 2011 Toyota Highlander Hybrid is a very appealing alternative to conventional crossovers.” (Edmunds) It contains a surprising mix of power and ability for a hybrid. The 28/28mpg (city/highway) may seem very unhybrid-like, but remember we’re talking about an SUV here. The 3.5L V6 is coupled to a trio of electric motors that add up to a very respectable 280 horsepower. The smooth ride and extremely quiet cabin put the Highlander at the top of this list. Basically, think Highlander with Lexus luxury and you’ve got the RX 450h. It offers the smooth ride and comfort that we’ve come to know and expect from Lexus, but offers a better fuel economy than its Toyota cousin at 32/28mpg. Properly equipped it can haul up to 3,500 lbs. in towing capacity, but the AWD option will decrease the fuel efficiency slightly. The interior is where it really shines, featuring high-quality materials, roomy seating all the way around, and 80 cubic feet of maximum cargo space with the rear seats stowed away. Another hybrid SUV that offers decent fuel economy at 34/31mpg is the Ford Escape. Powered by a 2.5L four-cylinder gasoline engine and a battery-powered electric motor, this Ford remains right in line with the rest of its siblings in terms of comfort and driving ability. An attractive interior with soft-touch materials surrounds passengers in a cocoon of comfort. Suspension provides a decent ride, but the real pleasure is the power, which is not too dissimilar from its gasoline-powered V6 cousins. The additional hybrid battery weight does make body roll slightly more noticeable, however. Even though this is the last model year for Mercury, the Mariner is worth taking a look at. 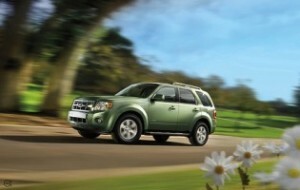 It’s basically a Ford Escape in Mercury clothing, and it’s cheaper. Like the Escape, AWD models come with an additional electric motor to power the rear wheels when further acceleration or traction is needed. Fuel efficiency remains at 34/31mpg, but cargo space decreases to a max of 66 cubic feet. The engine can get noisy at higher rpm, but power remains ample. With this being the last year of production, however, it may give buyers pause before whipping out the wallets.